That's true. And I am serious when I say it. I don't know how many people have watched or remember the 2003 Clone Wars series, but I've never seen why people love it so much. People act like it's a masterpiece, but aside from animation/style and a few characters (mostly Grievous), it doesn't hold a candle to the 2008 series. I still like it, but nowhere near as much as the 2008 series. It's a prime example of "style over substance". It's actually unfair to compare the two, IMO, as they are VERY different. The Micro Series told one story about the Battle of Muunilinst over the span of two years across three minute segments, and used their final year to mostly focus on the Battle of Courscant. The action is incredible, but we don't really get too much from the characters in terms of growth. However, it seems unfair to criticize the show for lacking character development when it was never supposed to really focus on serialized storytelling. There's a reason the higher ups at LucasFilm refer to it as a "pilot series" instead of the "micro series" like we fans do. It was created to gauge interest in a longer-form show set during the Clone Wars, and when it wrapped, George felt like making a more realized show in-house at LucasFilm was a good idea because of the success the show had. In this case, style over substance actually works in the show's favor. If the action wasn't over-the-top using Genndy Tartakovsky's animation style, it'd be completely forgettable, just because of what the show was tasked with doing at the time. Star Wars: The Clone Wars is a product of realizing that there was interest in that era, even after the films had ended. It was created with the idea that they now had the potential to develop characters further and create new fan-favorite characters without a quota of "this is in the new movie, so we need to showcase it". Far less restrictive. The finale of Clone Wars Vol. 1 (as it was called on DVD) was originally supposed to feature Durge, but since Episode III was coming out the following year, George told the team at Cartoon Network to make it Grievous instead so they could introduce the character. The Clone Wars also had the benefit of being able to tell its stories in a 22 minute format, and if that wasn't long enough, then several episodes could be used to tell the story, i.e. the battles of Ryloth, Umbara, Ahsoka being framed, etc. When it comes to people liking the micro series over the canonical series, I can understand why. It's a mix of nostalgia and the art style that make it appealing, and Grievous' introduction remains one of the scariest yet awesome moments in any Star Wars media to date. And until The Clone Wars really got started and timeline issues arose, it seemed like both series were canon, so the awesome robo-ninja-cyborg-Jedi-Killer Grievous was at the same time a wheezing, coughing brute. In the early days of The Clone Wars, fans that were old enough to have seen both shows when they premiered could probably have easily chosen the Micro Series as their preferred show compared to the theatrical release and early Season 1 episodes of the new show. It had a rough-ish start, but got it's groove pretty quickly. The Clone Wars also invalidated a lot of Expanded Universe stuff, which at the time, was still considered canon by fans even if George didn't. RIP Republic Commando novels, among other things. The Micro Series didn't do any of that, so for die hard EU fans, The Clone Wars will probably forever be a harbinger for the coming of the current Disney Canon. I’ve never seen the ‘03, but the ‘08 is possibly my favorite animated show in existence. My mom bought the first volume of the '03 Clone Wars for me when I was a wee lad and I instantly fell in love with it. Grievous had THE best character introduction ever that set him up as a real threat. Also the duel with Anakin vs Ventress is amazing. Though I'm not a fan of what Disney has done with Star Wars, I gotta say that I don't absolutely hate Resistance. Like, I don't think it's anything special, but it's not terrible, and I get that it's a show aimed at a far younger demographic than Clone Wars or even Rebels were. That, and I have never seen a Shrek movie. You should watch at least the first one. Pirates of the Caribbean: Dead men tell no tales was pretty good, despite it's low Rotten Tomatoes score. Even if you didn't like it, at least was better then On Stranger Tides. at least was better then On Stranger Tides. DMTNT was enjoyable, but that doesn't make it good. On Stranger Tides is leagues (ha) better. I disagree. I haven't even finished Stranger Tides, but from what I've seen, it's not very good, in my opinion. Pirates may never go back to the cinematic masterpiece of Dead Man's Chest, but at least Dead Men Tell No Tales cared about the previous films, enough to get a cameo from Swan and Turner. And skeleton sharks beat zombie pirates any day. In other words, I liked Dead Men Tell No Tales more because of things that don't really matter. On Stranger Tides is terrible in my opinion. In fact, it's probably one of the worst movies I ever saw. If I were to go back in time and skip over this movie when I was watching the Pirates of the Caribbean franchise, I would. Check out my post on the "Least Favourite Movies" topic if you want to see why I dislike this movie so much. 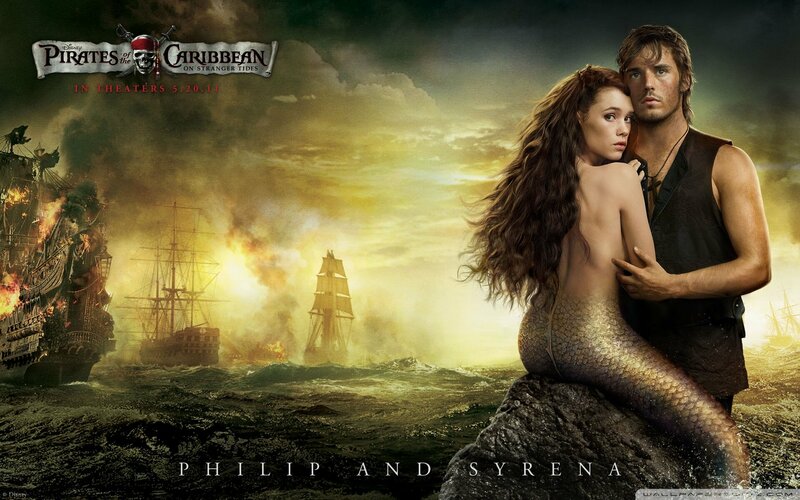 I liked On Stranger Tides. Seriously?! I don't want to offense anybody, but this is the one of the most garbage love stories I have ever seen in a movie! Oh, yes, possibly my strongest unpopular opinion: I hate Arwen in LOTR. I've convinced some of my friends to hate her, and others don't understand me. I can't stand the character. 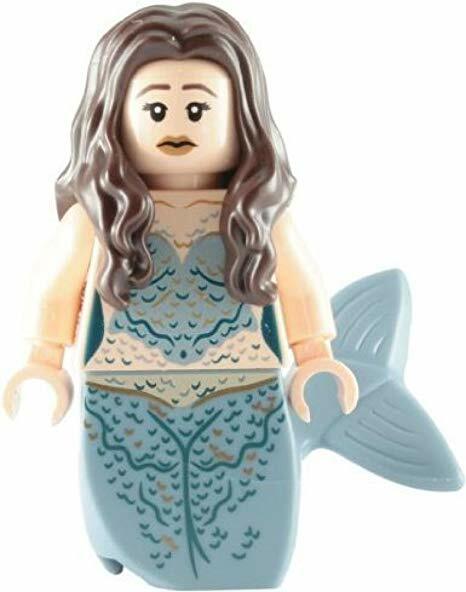 Also, PoTC mermaids are actually kind of cool. Can we remake the Little Mermaid with cannibals instead? I agree 100% with you. While I don't hate Arwen as much a Syrena, it was completely unnecessary, out of place, and it was probably the biggest change the movie took from the book. In the book, Arwen is barely mentioned in the book, and the movie gives her such an important role. To be honest, I enjoyed The Hobbit more then LoTR because of the lack of Arwen (since Tauriel wasn't nearly as trash as Arwen). This is what made the movie so long and boring at some points. But, at least, it wasn't bad enough to ruin the movie to me, like in the case of Stranger Tides. I am a fan of legends, but too realistic legends don't always work for me.